While updating our website, I realized this is a perfect blog post. Short, to the point, and yet sharing our perspective and the way we think about flowers, and the dilemma we face sometimes with flower pictures online. This is an issue with Lily arrangements, and Asiatic and Oriental Lilies particularly. They are cut with the buds fully closed, and they open nicely once they are given a fresh cut. We want our clients to enjoy the flowers as long as possible, so sometimes they are sent out to the home with just a few open blooms, or mostly closed blooms, like the bouquet at right. Many floral pictures show the lilies almost all fully open, like the picture at left. This makes the bouquet look awesome in the pictures, and yet, with the blooms mostly open, the bouquet will not last as long, losing up to 50-70% of the time of enjoyment in the home. And we realize the preference may depend on the occasion. For a floral arrangement going to a celebration of life service, or a party, you want the open lilies and other flowers because of the visual impact at the event. When the flowers are going to the home, to celebrate a birthday, anniversary or other special occasion, there is more flexibility. We’d like to know – do you think about this when you see a bouquet online where the flowers are all completely open? 1. Send to the home? If you did not have a close relationship to the deceased or if there is a possibility that the flowers would not arrive to the services in time, sending arrangements to the home of the surviving relative is completely appropriate. In fact, it is appropriate to send flowers up to four weeks after the deceased’s passing, or even beyond that on special occasions where you would like to support the remaining family members (such as their anniversary, special holidays, any time that the remaining family members might be more emotional or missing them more. 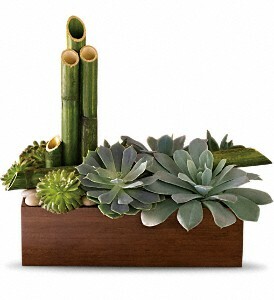 When selecting arrangements for the home, look for medium or small scale arrangements in ceramic, vases, or pots, unless you know the home is quite spacious, and then larger designs can be appropriate. 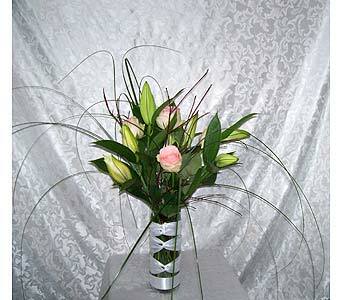 These could be smaller scale versions of arrangements used in the services or any arrangement of your choosing. Peace Lilies are very popular to send to the home, or to the service due to being lovely and easy-to-care for. The big difference for sympathy arrangements delivered to the home, is that most likely you will want a style that is all-around rather then the one-sided designs that fit the front of the ceremony better. Lilacs and other soft textures are the perfect way to celebrate a feminine lady! Plants are also perfectly acceptable to send to surviving family members. Plants or flowers that have their own water sources or are easy to care for are always a good choice considering how busy the family is during that time. Having their own water source allows family to attend to the funeral arrangements and not worry about keeping up with their flower arrangements. Succulents make a wonderful gift at a time of loss. They are low maintenance, and easy to care for. For the home, a dining table centerpiece is wonderful if many people are gathering, or a coffee table arrangement can bring your support into family gatherings. Every situation is unique and God’s Garden Treasures is here to help you in deciding what arrangements to send and where to send them. Don’t hesitate to call us with any questions that you might have. As your Floral Concierge, we have a Floral Consultant ready to assist you in making a selection that fits the person, the home and the family. Recently friends of mine lost their Mom/Grandma, and I experienced the confusion first-hand that many feel when encountering ‘in lieu of flowers’ in the announcement of the memorial service. I just read a great blog post that put in words what I was struggling to even understand. To celebrate the life of a vibrant person, or someone who is a gardener, or who loves the color green and is artistic and creative, an arrangement like this can really bless all those who experience it! So how do you decide to move forward to express care when a charity donation is requested? If you know the family well, you might call to share condolences, share your desire to send something to the service, and ask if it would be ok to do both. Many times the ‘in lieu of flowers’ is added in the midst of grief without the opportunity to reflect on how soothing to the heart the flowers may be. On the other hand some people feel strongly and have deep convictions. And Jennifer goes on to say, “I share Bobbie’s sentiments wholeheartedly. Not because I work for the floral industry but because I have experienced and seen the power of flowers at the lowest points in people’s lives. They do bring comfort to the heart of remembrance, they do add warmth to an otherwise cold and somber environment, and they do provide a beautiful diversion to focus on at a time when words are few. I appreciate so much people who put in words what I am having trouble articulating, and more deeply so when the emotions are so deep, tangled, and uncomfortable. Thank you, Jennifer! When celebrating the life of a military veteran, a patriotic theme in a creative way can celebrate their life and service in style. Another option is to give a charity gift and include a note about that in your card sent with the flowers, whether to the service, or to the family at their home. Some will wait to send the flowers to the home for a week or so, knowing that the grief doesn’t end when extended family go home, and wanting to communicate care and love over time. In previous blogs I’ve talked about where to send sympathy flowers. Now, based on where you send them let’s talk about what type of arrangements to send. Today’s blog post focuses on flowers sent to the service. Typically, the most majestic and prominent arrangements are ones that come from immediate family members. 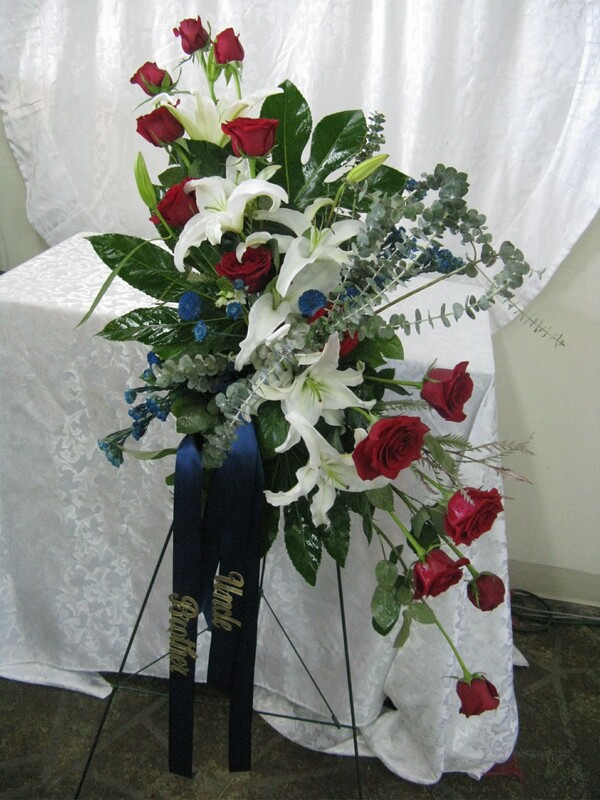 These arrangements include casket sprays, wreaths, and standing easel sprays. If you are the parents, child, or sibling of the deceased these would be your first choice of flower arrangements to send. Below (from left) are examples of a casket spray, cross, wreath with picture and standing heart wreath spray. Other friends and family also want to celebrate the life of their beloved as well. If you are sending flowers for a relative or a close friend, smaller scale versions of these arrangements can be tailored to suit your needs. Another way to really celebrate the person who passed is to ask for a customized tribute that reflects a hobby or interest, or special items that were meaningful to them. We can incorporate any item, and can put our creative ideas to work to make a very special piece. Florists are there to help you when deciding what to order and are happy to offer assistance if you’re not sure what the appropriate arrangement would be. Typically these arrangements are used at both the viewing and the Memorial Service. Also, remember if you are an out-of-town family member or friend that timing the delivery is important as to not disrupt the flow of the services. As long as you order with enough time, your florist will be able to coordinate the delivery time with the funeral home or church who is hosting the service. If you did not have a close relationship to the deceased or if there is a possibility that the flowers would not arrive to the services in time, sending arrangements to the home of the surviving relative is completely appropriate. 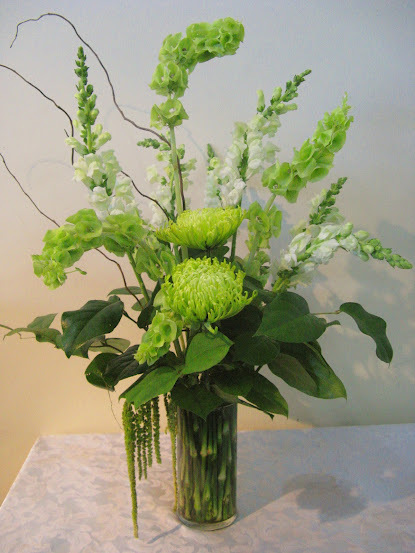 See our blog post called Three Tips for Sympathy Flowers sent to the Home. Every situation is unique and God’s Garden Treasures is here to help you in deciding what arrangements to send and where to send them. Don’t hesitate to call us with any questions that you might have. Comments Off on What Type of Sympathy Flowers Should I Send to the Service? Some of the most common questions posed to florists are questions regarding sympathy flowers. 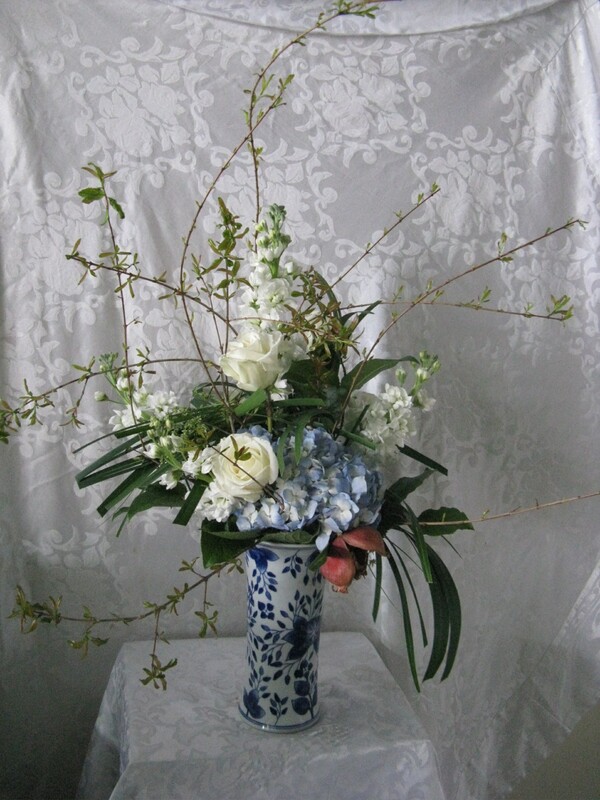 The etiquette surrounding sympathy flowers can be confusing at best. Hopefully we can shed some light on the subject and make it less confusing for you. If you are are an out-of-town family member, distant relative, or distant friend, chances are you may not hear of the deceased’s passing until the last minute. Don’t fear, it is still perfectly acceptable to send flowers. In this instance sending the flowers to the home of the surviving spouse, parents, or a relative is the most appropriate choice. 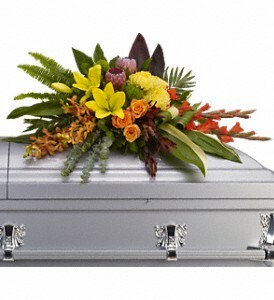 In fact, it is acceptable to send sympathy flowers up to four weeks after a loved one’s death. Sending flowers to the home is the best option as you do not want the flowers arriving in the middle of the funeral services and disrupting the family. If you are in doubt, ask the florist if they will arrive before the services start. If there is any doubt of the timing, send the flowers to the home. Some families choose not to have formal services in a funeral home or chapel. If this is the case, sending flowers to the home of a surviving family member is the most appropriate option. It is also important to be aware that some families do not wish to receive flowers at all. They usually state this in the death announcement or obituary. If a family decides that they do not wish to receive flowers the may state “In lieu of flowers please…” Often times they ask that a donation be made to a charity, a hospice, or a surviving child’s trust fund. Please be respectful of the family’s wishes. If you insist on sending flowers, you could send them to a hospice care facility, hospital, or the family’s church in celebration of the loved ones life. If you are local, immediate or close family, send the flowers to the funeral home. If you are local friends of the family either funeral or home is appropriate. If you are an out-of-town immediate family member or close friend, determine if the florist can deliver the flowers before the service. If in doubt send them to the home. Remember it is appropriate to send flowers up to four weeks after the loved one’s death. At God’s Garden Treasure we know that this is a difficult time and are happy to provide any assistance you may need. Please see my blog for additional information on sympathy flowers, or go to our website to order sympathy flowers, or call us for a personal consultation with one of our Floral Consultants. Comments Off on Sympathy Flowers: Where Do I Send Them? for an avid golfer on behalf of a friend who cared, and at another time, we inserted the message from family members in the form of a crossword tucked into the flowers for a woman who loved crosswords. And for a sports fan, lovingly created standing sprays styled in a mirror image in therms of the shape, and each one was the color of one of his teams (Phillies and Eagles). Tributes such as these often really capture who they were and celebrate it! The options are endless. Another way to express support is to send the flowers to the home in the form of a dining centerpiece or coffee table arrangement that will express your concern as family and friends gather, or once visitors have left, leave a lasting embrace. Please stay tuned and check back for more tips, ideas and inspirations to come. Used with permission, SAF member – original post found here. 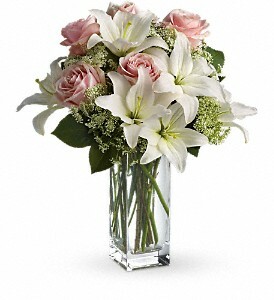 For discrete, thoughtful and personal assistance with your sympathy flower purchase, please call us!